For a sport so eternally seeped in speed and those who lie at the front of the grid, there's not an awful lot reserved for the midfielders- isn't it? 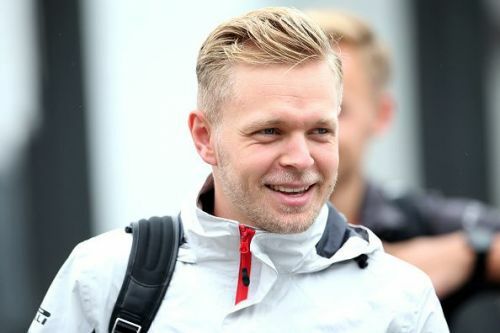 For a driver who's just conceded two DNFs this season in a car that's perhaps not even close to a Red Bull in aero packaging and functionality, how uncanny or impressive is it that Kevin Magnussen has finished more races than Daniel Ricciardo and has had fewer retirements than Kimi Raikkonen of Ferrari? The Haas is, at present, one of the most improved teams on the grid. Much of it is thanks to the Danish talent Kevin Magnussen, if not so much due to Romain Grosjean, five retirements, including three collisions this year. Fast, in great control of his race, and perhaps among the fastest men on the grid, a race win might not have been in the reckoning for Kevin Magnussen. But it does seem that in 2018, given all that Magnussen has achieved, he's upped his game by a few notches. So let's examine things that have worked in favour of Magnussen, among the most promising improvements of the 2018 season. The Bahrain Grand Prix was, yet again, a race where it seemed that Ferrari were the true frontrunners as far as straight line speed and corner pace was concerned. Demonstrating just that, Sebastian Vettel emerged the frontrunner at the end of the spectacular night race. Lewis Hamilton, who had no answers to stop his rival had the ignominy of seeing Vettel emerge with two back-to-back wins, starting with Melbourne. But not everyone's race was marked with a certain grimness. Haas driver Kevin Magnussen unfurled one of his best ever drives right after the heartbreak at Melbourne, the season starting Australian Grand Prix, where he failed to finish the race. 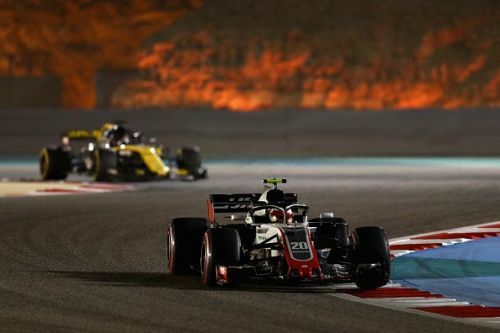 At the fantastic Sakhir, Magnussen put his Haas on fifth at the end of the duel and collected the first points for Haas while his teammate, Romain Grosjean would take a few more races to open his account for 2018. F1: What's the mystery behind Haas' Sponsor Rich Energy? Who is Formula 1's most underrated driver?